Now while this may sound as a cliche, but there is no general consensus as to the actual purpose of the Great Pyramid – the only surviving ancient Wonder of the World and a monument that held the record for the world’s tallest structure for a whopping 3,800 years. However from the credible angle, many historians and scholars still believe that the pyramid originally housed the remains of Pharaoh Khufu, who ruled over Egypt in 26th century BC. And now Science Channel has showcased an animated reconstruction of a rudimentary ‘machine’ (in their Unearthed series) that was possibly constructed by the ancient Egyptians to guard the his possible remains (and treasures) inside the King’s Chamber of the pyramid from tomb robbers. 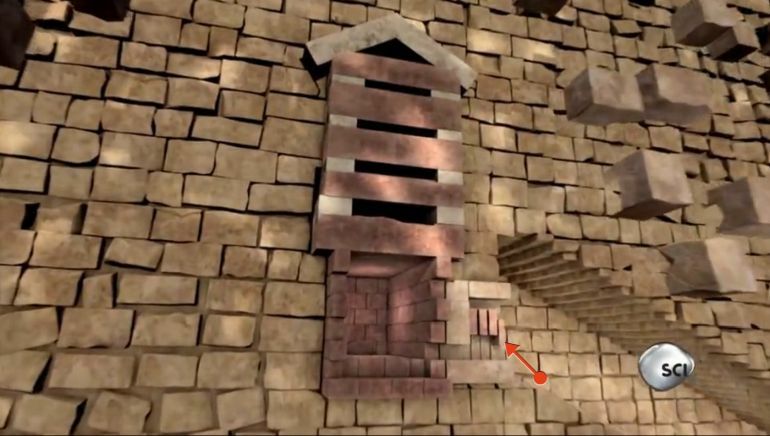 This machine in question, as described by Egyptologist Mark Lehner, the head of Ancient Egypt Research Associates (AERA), originally comprised an array of blocks and grooves that are inconspicuously hidden beneath the walls of the pyramid. According to the virtual reconstruction, these components were meticulously laid down after the king’s remains were housed inside the chamber. 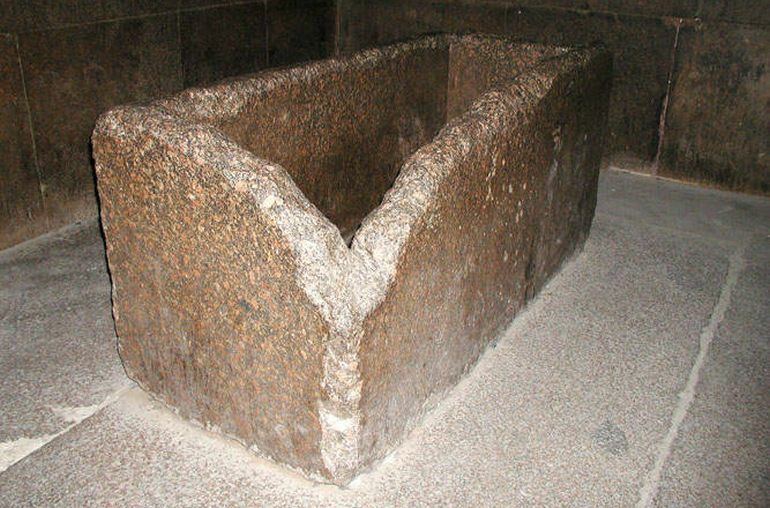 So once the pharaoh was successfully interred inside his designated King’s Chamber, specially-made granite slabs slid down the grooves created by specific projecting structures, thus securing the pathway to the chamber. Three bigger granite blocks were also fitted down the other end of the pathway, which blocked the access from a lower angle. And this entire structural scope of the ‘inner-sanctum’ was further accompanied by a bevy of solid limestone blocks that accounted for around 260-ft thick walls. Simply put, the ancient Egyptians went to great engineering lengths to possibly shield the passage to the King’s Chamber from future tomb robbers. But unfortunately from the archaeological perspective, researchers have still not been able to find any remains of a person or a mummy inside the intricate halls and chambers of the Great Pyramid. According to historical sources, the (presumed) sarcophagus of Khufu was discovered in early 9th century AD by the Arabs, who forced their way into the King’s Chamber. All they found was just an understated, unadorned yet hollow granite box that was entirely empty, without even circumstantial evidences of previous disturbance. The unadorned, hollow granite box inside the King’s Chamber. Now according to some hypotheses, like the one made by Lehner in his book The Complete Pyramids, the contents (possibly remains and treasures) inside the King’s Chamber were already looted by 22nd century BC, in spite of the ‘high security’ architectural measures put forth by the ancient Egyptians. Other scholars and Egyptologists, like Zahi Hawass, have conjectured that this so-called King’s Chamber was possibly just a structural decoy to perplex the robbers. 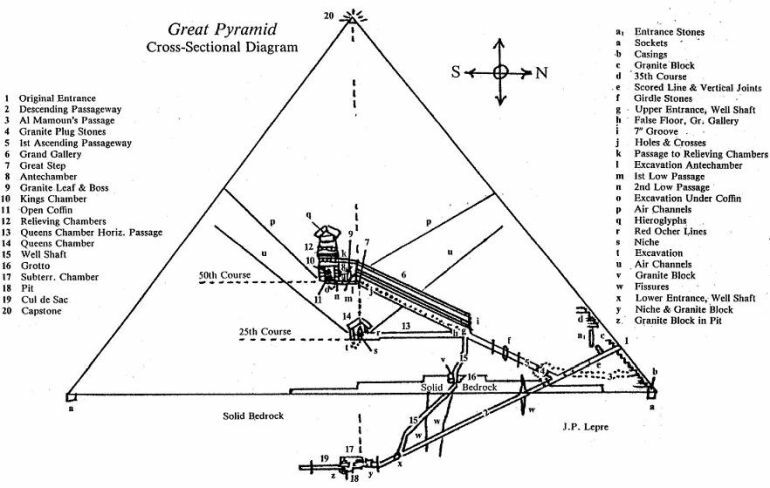 To that end, the (hypothesized) actual resting place of Khufu could be potentially reached through a network of more inconspicuous shafts inside the Great Pyramid – two of which originate from the King’s Chamber. In any case, the good news for history enthusiasts is that the ongoing ScanPyramids mission might just be successful in revealing hidden chambers inside this 4,500-year old mysterious yet gargantuan structure. As for the animation in question, the entire video was aired Tuesday (July 12) on the Science Channel.